Our homeschooler’s newest favorite choco drink is W1nners’ Choice 10in1 Choco Drink. I love that this one does not have the overly sweet taste which is common to most chocolate powdered drink commercially available. 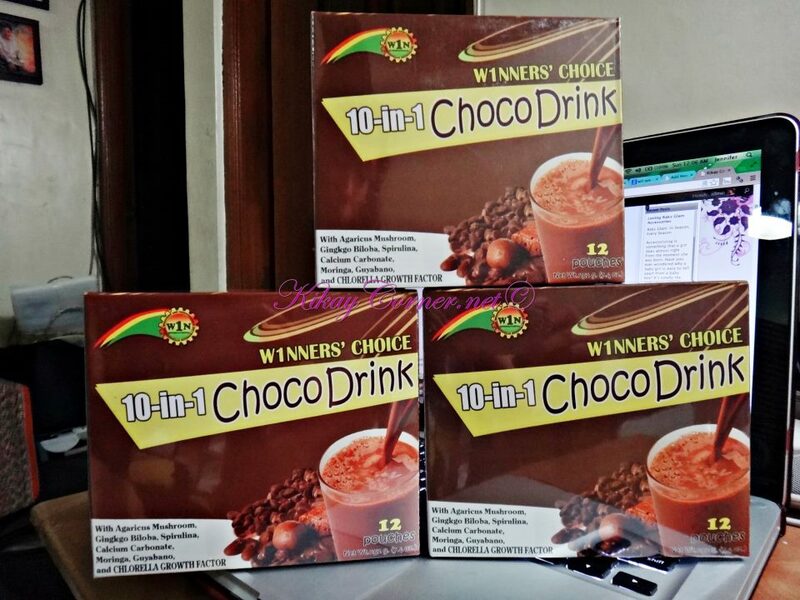 Winners’ Choice 10in1 Choco Drink contains agaricus mushroom for stronger immune system, calcium carbonate for healthier bones, ginkgo biloba for brain development, guyabano for better digestion, moringa for enhanced metabolism, spirulina for higher energy levels, and CGF for faster height gains in children. Our 7 year old, Level 4 homeschooler currently stands 4’3.5″ tall. He grows up so fast that he barely fits the marmot jacket he got for his birthday. I’m sure the Chlorella Growth Factor a.k.a. CGF of Winner’s Choice 10in1 Choco drink has a lot to do with our son’s current growth spurt. CGF is especially popular amongst parents who buy multivitamin supplement for their children. Chlorella Growth Factor or CGF is named as such because of its growth stimulating properties. It is derived from the nuclei of the algae unique to chlorella. Studies have shown that CGF is produced by chlorella during the intense photosynthesis that enables chlorella to grow so rapidly. CGF is made up of valuable nutrients, a handful of which are not found in other foods like amino acids, amino peptides, water-soluble proteins, binding proteins, glycoprotein, the vitamin B-complex and other vitamins, minerals, glutathione resembling substances, RNA/DNA, immune polysaccharides, phytohormones, natural growth factors.